Ahem. Businesschicken.com is a web site started by me to chronicle the doings of our attempts at urban chicken farming. Business Chicken is the Auracana hen who lays the blue eggs and was one of the first of the triumvirate of chickens with which we began this urban experiment. 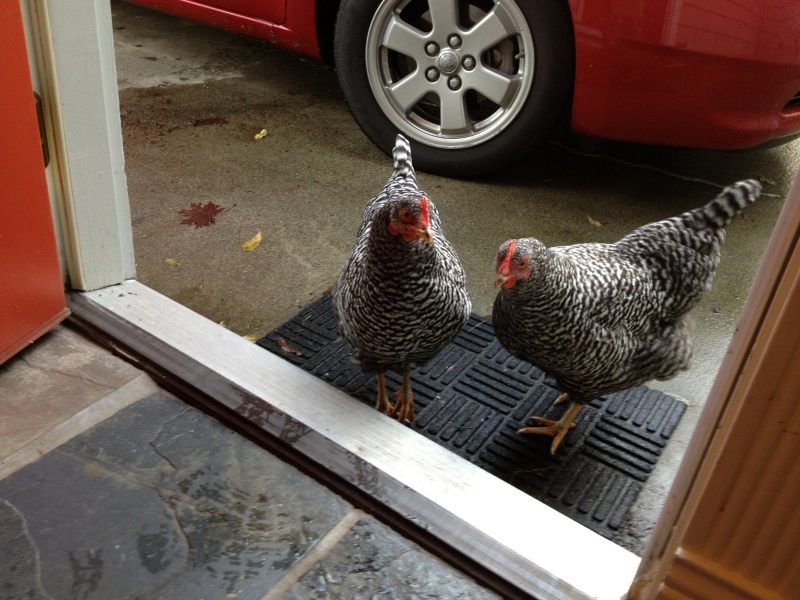 At first it was mostly to have a place where my team or my husband’s team in Xbox could inquire about the chickens and not waste valuable work time doing it (though everyone did anyway – developers love chickens!). Then, it became a place to put chicken oddities we noticed online – technochicken memes, and the many varied ways game developers include chickens in games. Jason has been a master at this – and also, his team helpfully points out chickenalia he may be missing. I must thank Chris Pirillo and Chris Tran for enabling us to obtain the domain name businesschicken.com. I mentioned on a live stream that I wanted it; Pirillo fan Chris Tran obtained it, and months later was gracious enough to let my husband and I have the domain name at cost. 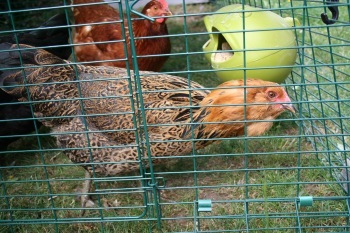 Sadly, we lost one chicken in 2012, dearly departed Shy Chicken. We have been joined since by even more chickens, two of which are pictured here (Hot Spare and Parity Bit).